The lessons are multi-sensory and hands-on, ensuring that the students truly experience what they are being taught. The lessons are structured with discussion-starters, creating a lively, interactive classroom experience with joyful discovery. Role-playing, arts & crafts, concrete experiences, and songs are incorporated to help make the lessons enjoyable. The information truly becomes the student's own. Special programs are planned during the year, such as Shabbat Dinners, Shofar Factory, Chanukah Activities, Purim Carnival, Passover Seder, and more. 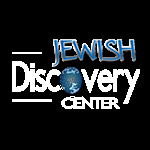 We believe that the joy and pride in Judaism that is experienced at the Discovery Hebrew School makes an indelible impression upon the children, as they joyfully discover its vibrancy.